As you have hopefully seen across my social media, I have been travelling for the past few weeks through Australia with my partner in crime, Steph. It has been pretty much the best trip of my life, which is a seriously bold claim. Honestly though, we have had a crazy jam-packed 14 days but every single one has been incredible. Every place we have explored and activity we have experienced has been amazing, there hasn’t been a low moment. Arrive into Sydney in the early morning and spend the day exploring the city. I recommend hitting up the tourist classics if it is your first time; Luna Park, The Sydney Opera House, Bondi Beach, The Sydney Harbour Bridge & many more! 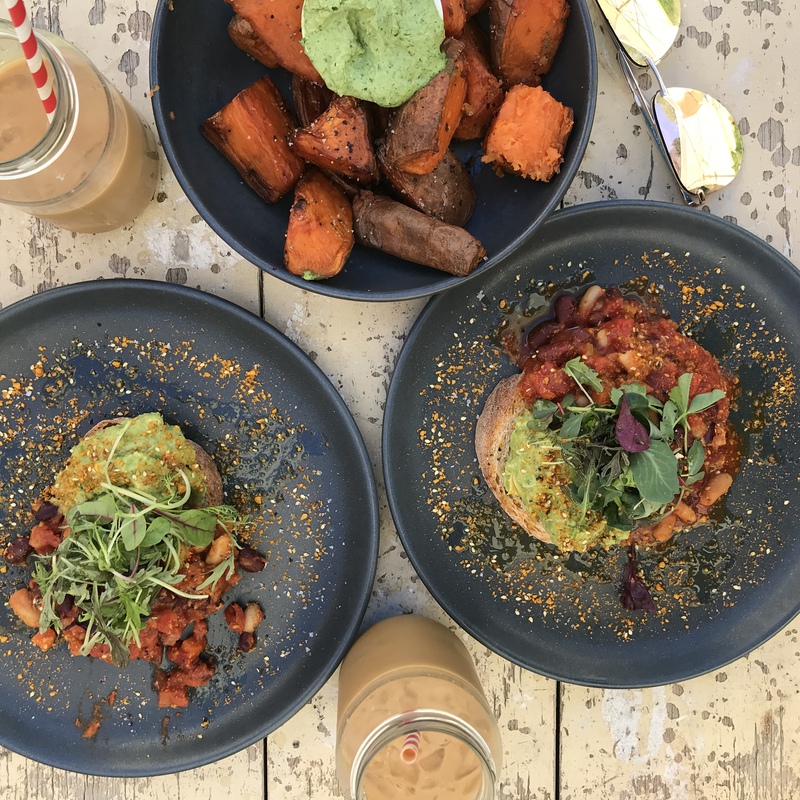 We ate at Speedos in Bondi Beach which serves up incredible vegan friendly healthy eats. A highlight for us was the Bondi to Coogee coastal walk. Check into QT Bondi Beach and stay the night. This hotel has apartments available which come with washing machines, perfect for cleaning your travel clothing after your long haul flight! Catch an early morning flight to Hamilton Island. Check into Qualia Hotel and hire a golf buggy to get around the island. 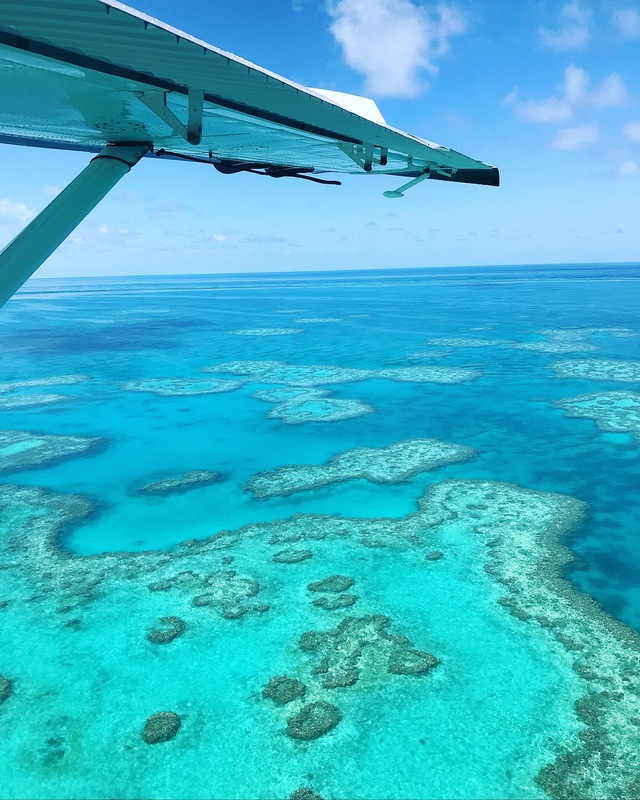 In the afternoon, do a Hamilton Island Air seaplane ride over the Great Barrier Reef. Land at Whitehaven beach and have an afternoon picnic. Head back to the hotel, relax and get ready for dinner. Watch sunset with a cocktail or a bottle of wine at the famous One Tree Hill and eat dinner at quailia’s restaurant the Long Pavilion. Do early morning yoga at qualia resort, grab breakfast and drive down to the islands harbour. Check into the Cruise Whitsundays Great Barrier Reef boat trip. Board the boat for a day of scuba diving and snorkelling. Be sure to take a GoPro! After a long day of excitement, return to land for the evening. Shower and head for dinner at Coca Chu restaurant; being sure to order the pumpkin curry. Have a relaxing day on Hamilton Island. Please see my blog post for suggested activities. You can be as active or as leisurely as you want. Kick back and sunbathe in the beautiful qualia resort or get out and explore the island! Just make sure your watch your last sunset at One Tree Hill. 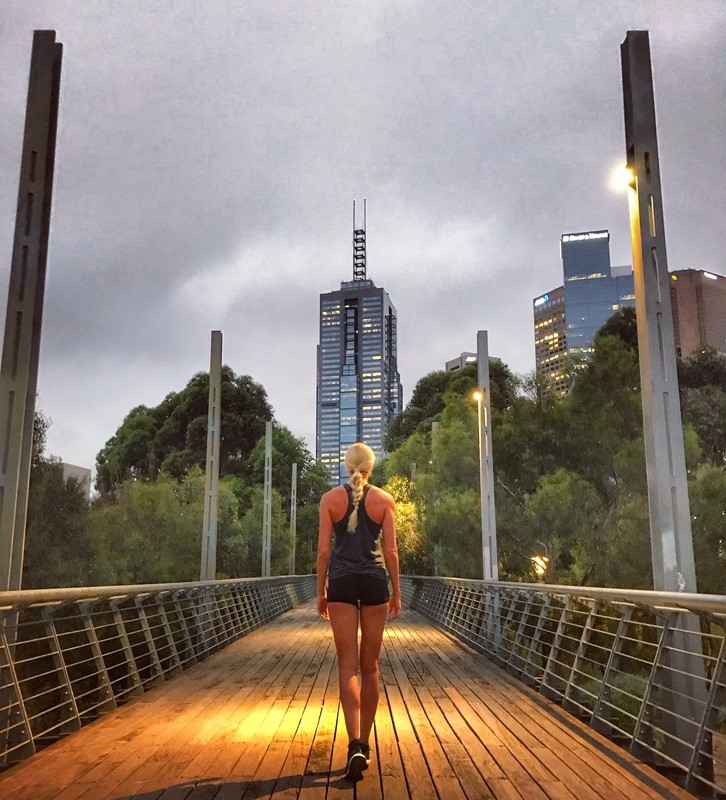 Catch an early morning flight to Melbourne and check into Ovolo Laneways hotel which is perfectly in the CBD. Head straight to Rose Street Artists Market to see what beautiful local goods are on offer, and explore neighbouring quirky Brunswick Street. Tuck into a high-end vegetarian dinner at Transformer and follow it up with cocktails at Naked for Satan which has stunning views over the city. 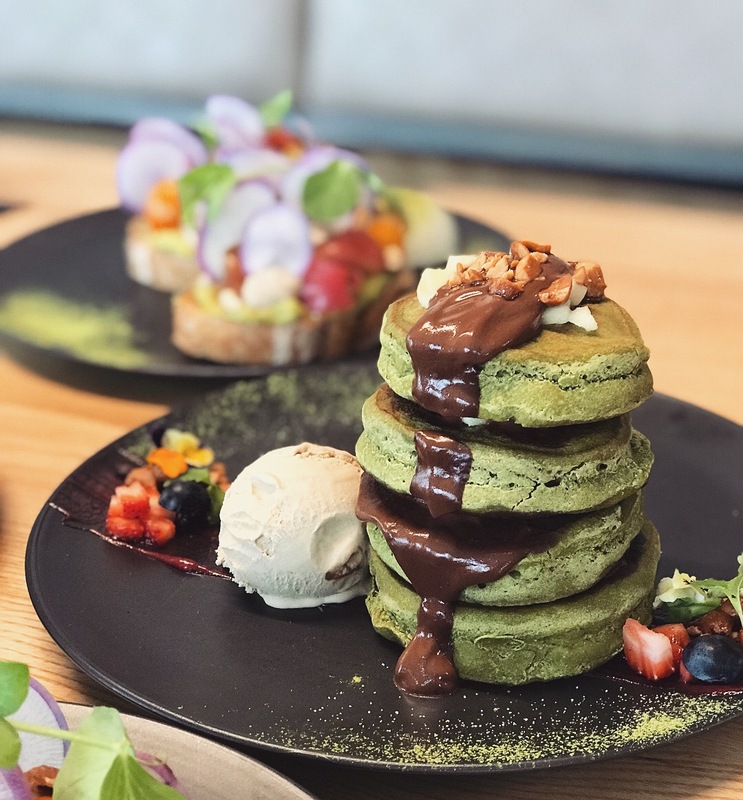 Wake up and grab breakfast at Matcha Mylkbar, being sure to try their famous vegan poached eggs. Get a tram back to Federation Square and meet the Hidden Secrets Tours team for a guided tour of the Melbourne lanes and arcades. This will take you through many beautiful spots in the city which you might otherwise miss as a tourist passing through, including incredible street art. Head on a tram to St Kilda, grab lunch at Sister of Soul and then explore the area. Hit up Luna Park and walk down the beach to the pier which gives stunning views of the city. Grab breakfast at Seedling cafe before pickling up a rental car and setting off down the Great Ocean Road. Stop off in Torquay to explore the beach, hit up the whole foods shop and grab lunch at Whyte’s. 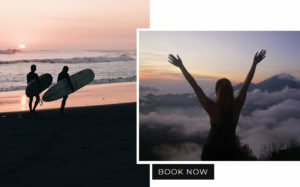 Relax on Bells Beach and watch the surfers, or head to Southside if you want to get naked! 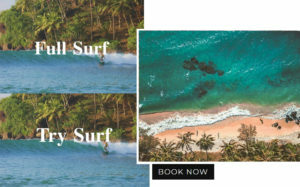 You can even learn how to surf yourself at Angelsea beach with Go Ride A Wave surf school. As the day passes, continue to drive along the GOR stopping off at as many scenic view points as you please. Finish up at Apollo Bay, walk along the sandy beach and stay at the Sandpiper Motel. Drive up to Chris’s Beacon Point restaurant for dinner with a view. Wake up and pick up breakfast in Apollo Bay; try Sandy Toes for healthy eats or Bayleaf Cafe for more traditional plates. 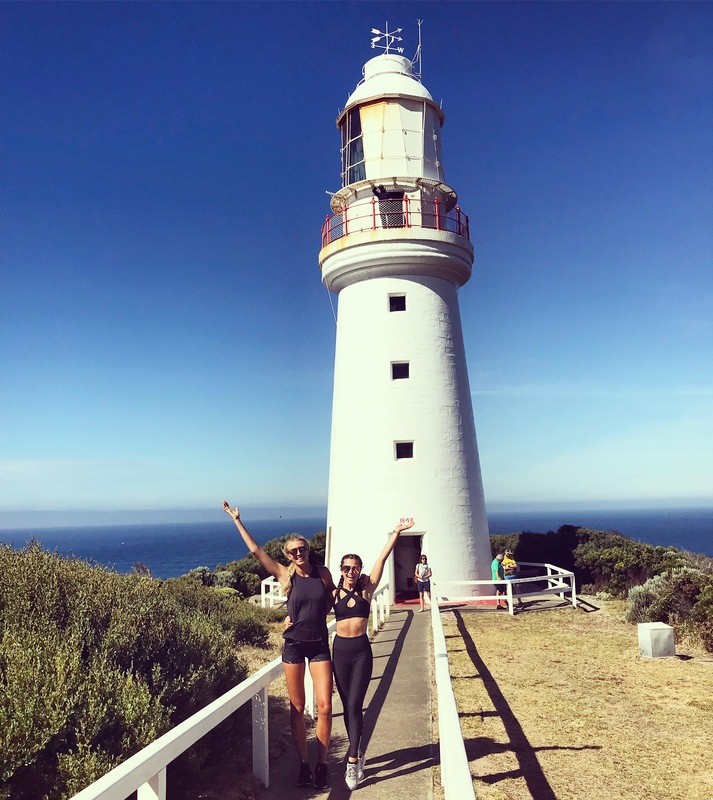 Drive to Cape Otway National Park and take a guided tour of the Lighthouse to learn about the history of this iconic building. Use the afternoon to explore what else the Park has to offer. I recommend walking down to Parker River and relaxing on the (often completely deserted) beach. If you’re more of a rainforest fan you can walk through Maits Rest or any of the public trails. In the afternoon, head towards the iconic 12 Apostles and hop in a helicopter get a different perspective of these stunning rocks; before looking at them on foot too. Proceed to drive towards Warnambool, stopping off along the way anywhere you please. Just look out for signs on the road and pull in when one takes your fancy! Key hot spots include Loch Ard Gorge, The Arch and the Bay of Islands. Check into The Deep Blue Hotel & Hot Springs and have dinner at Proudfoots Boathouse which is right on the water. 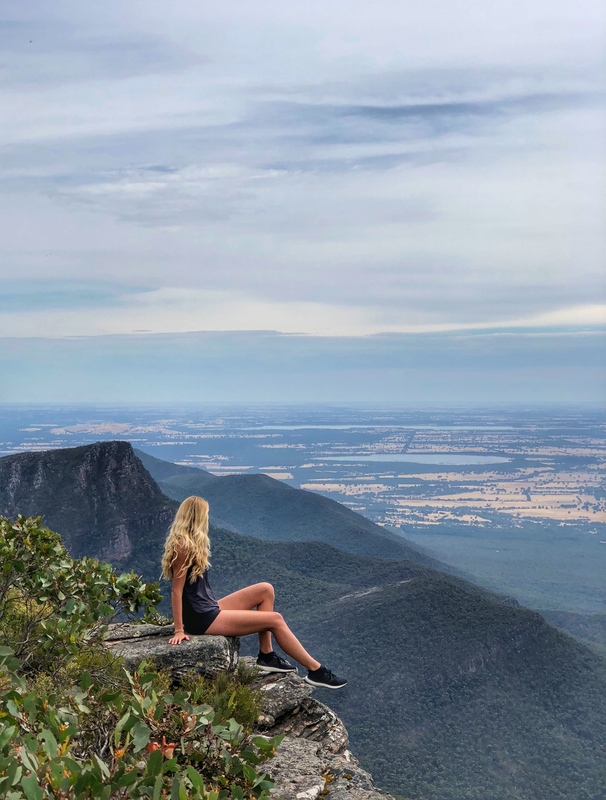 Set off early from the hotel and drive inland to the Grampians National Park. 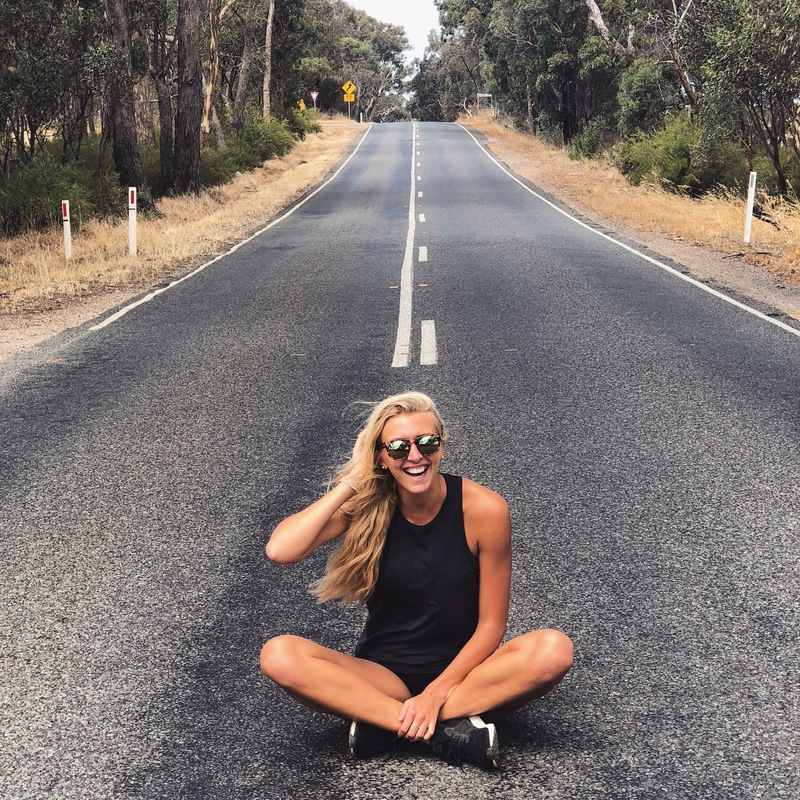 Here meet the team from Grampians Personalised Tours and Adventures and allow them to take you around the most beautiful areas of this expansive park. Don’t miss Williams Point, Reeds Lookout, Boroka Lookout and Mackenzie Falls. Afterwards, grab a late lunch at Harvest Halls Gap and then drive back to Melbourne, dropping your car off at the rental provider and checking into QT Melbourne for the evening. Grab an epic vegan dinner at Smith and Daughters, being sure to try the cauliflower. 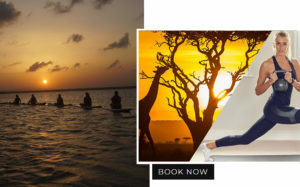 Hop on a morning flight to Adelaide and connect to Kangaroo Island, picking up a rental car on arrival. Drive straight to Stokes Bay to discover a stunning beach hidden through a cave and soak up the sun. 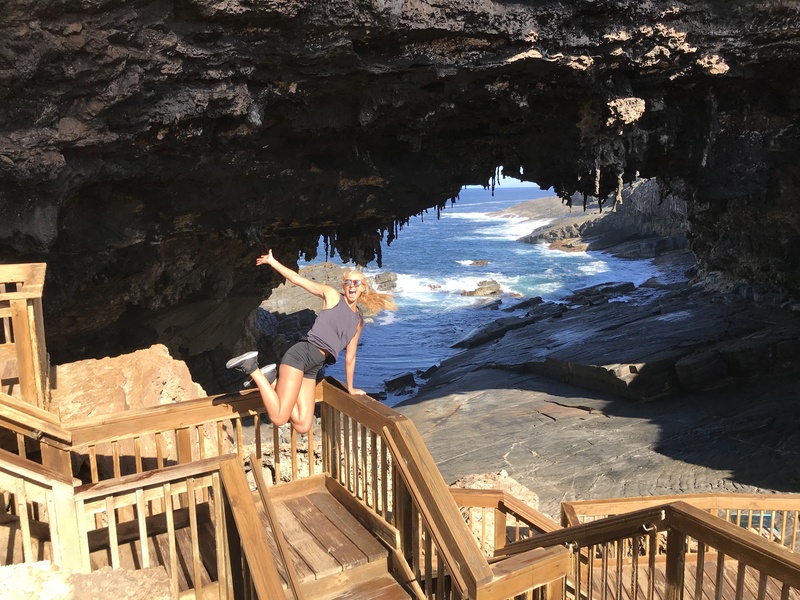 Grab lunch at nearby Table 88 on the hill and then drive over to Seal Bay and get a private tour of the beach, this is the only place in the world you can walk amongst a sea lion colony. In the evening drive to the hotel, Kangaroo Island Wilderness Retreat, check in and have dinner there before hitting the hay. This is a free day to explore as you wish. I suggest exploring Flinders Chase National Park, hitting up Admirals Arch, the Remarkable Rocks and hiking one of the parks trails. 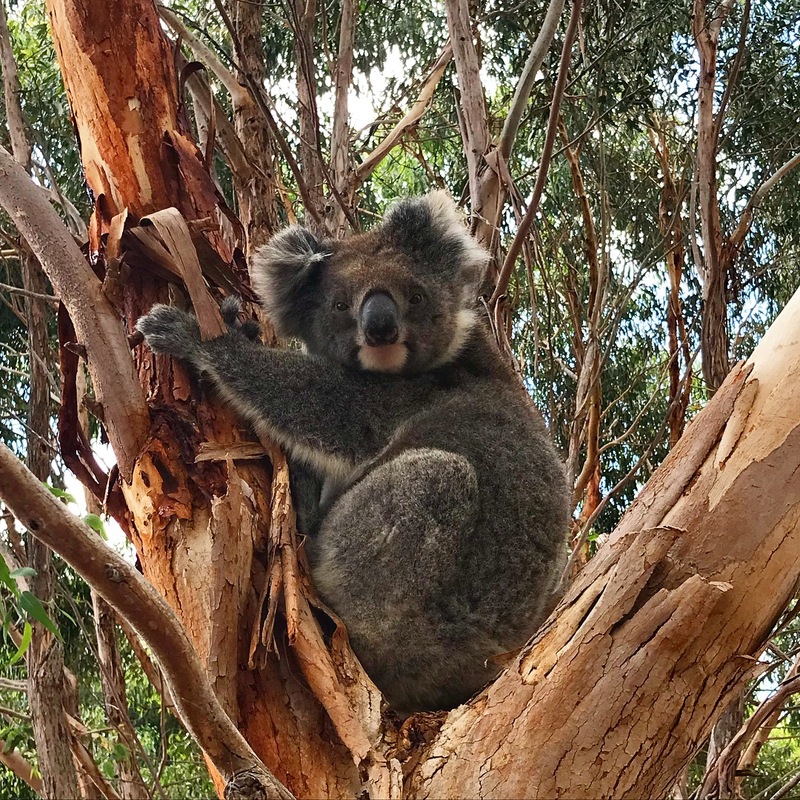 Stop off at Hanson Bays Wildilfe Sanctuary to see wild koalas amongst the eucalyptus trees and then drive down to Hanson Bay itself for a relax on the warm sand. 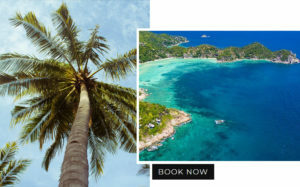 Check out and pack your bags into the car. Drive to Emu Bay and board a Kangaroo Island Marine Adventures boat. 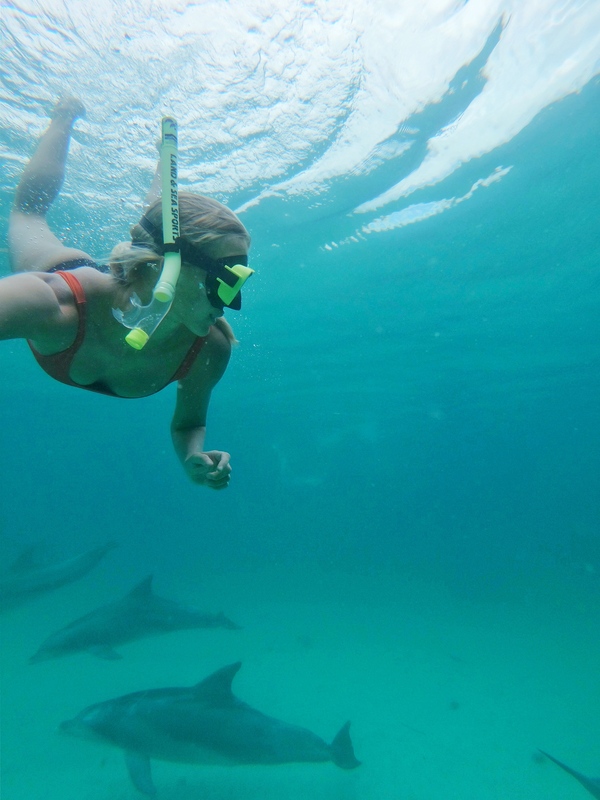 Sail along the coastline, spotting local wildlife, before stopping in a small sheltered bay and swimming with wild dolphins. A once in a lifetime experience! Afterwards, grab lunch at nearby modern restaurant Cactus. Meander back towards the airport and catch an afternoon flight to Adelaide. Check into The Mayfair Hotel for the evening, grabbing dinner nearby. Spend the morning exploring Adelaide and grabbing breakfast at the popular Argos on the Square restaurant. Pick up a rental car and head to a supermarket, buying ingredients to cook for dinner as well as an on-the-go lunch. I recommend heading to Romeos Wholefoods for ingredients and to Let Them Eat for a packed lunch. 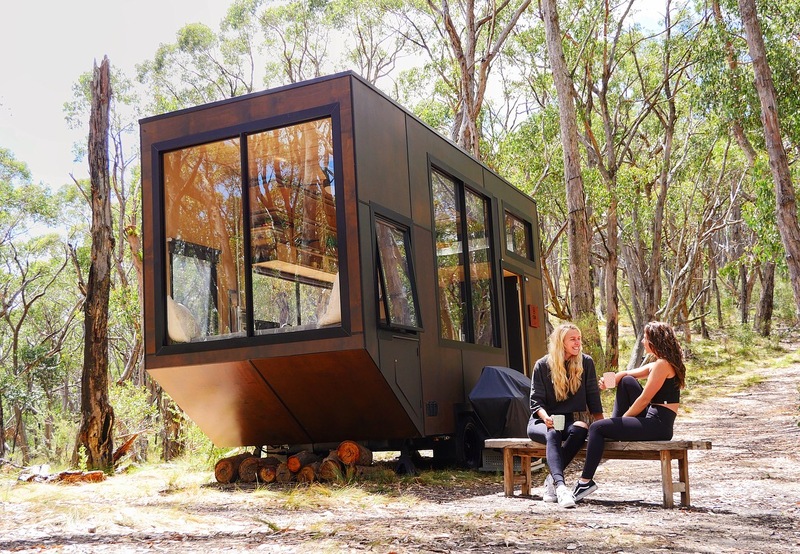 Drive to a CABN in the Adelaide Hills, a completely self-contained, off the grid, sustainable home in the middle of the bush. Settle in and chill out. 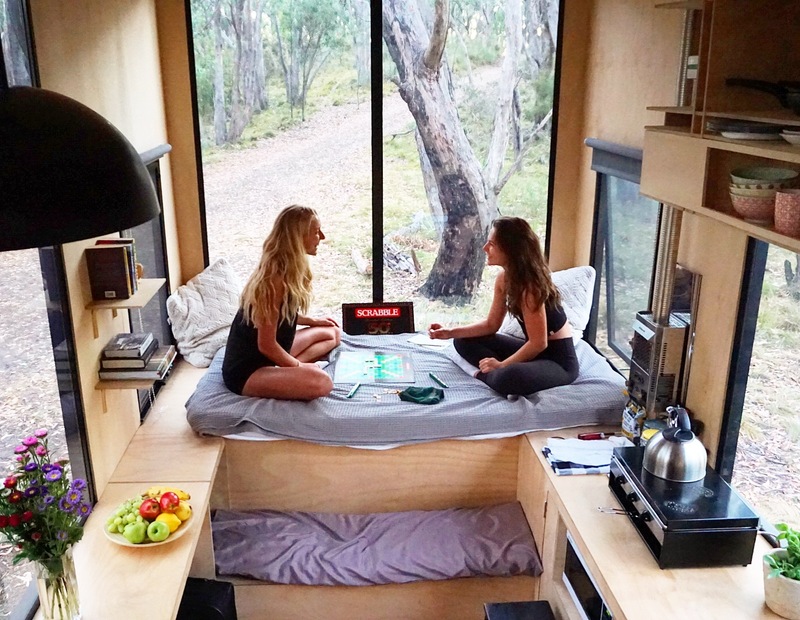 Read a book, play a board game, crack open a bottle of wine and look at the stars. Wake up to the sound of birds tweeting and spend a lazy morning in the CABN. Once you’re packed up you can explore the surrounding area. I recommend going for a walk through Mark Oliphant Conservation Park, strolling through the Mount Lofty Botanic Gardens, taking in the view from Mount Lofty Summit and browsing the quaint shops in the small town of Hahndorf. Grab late lunch at Seasonal Garden Cafe, a beautiful organic whole foods cafe with a gigantic garden, before heading back to the airport. Hop on a flight to Sydney and check back into QT Bondi for the final night in Australia. It’s the last day of the epic Australian adventure! 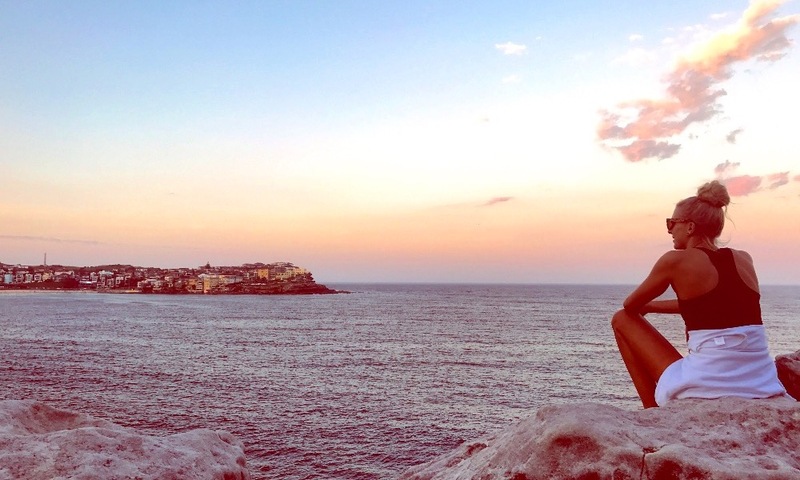 Wake up and go for a run along the Bondi to Coogee coastal path before grabbing breakfast at Harrys, Porch and Parlour or Earth to Table. 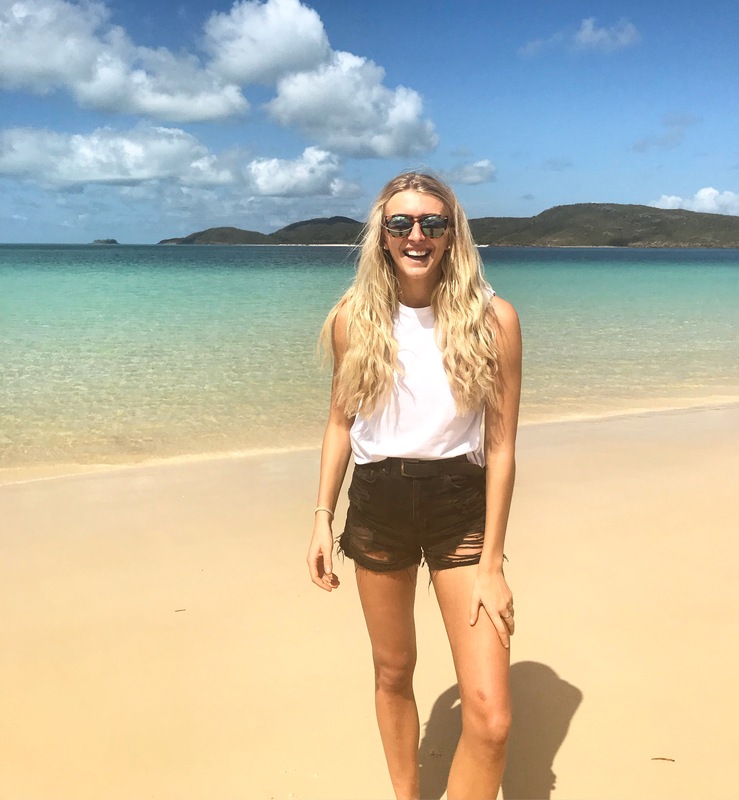 This is the last chance to explore Australia so take in as much as you can and tick off any Sydney hit spots you didn’t manage to fit into your first day here. Take the Manly ferry, walk from Manly to Spit, swim in Bondi Icebergs pool and explore the Botanic Gardens! Cram it all in and absorb every moment before catching an evening flight back to the UK. Our itinerary was a whirlwind, a crazy amazing beautiful and memorable whirlwind. Australia is one of my favourite places in the whole world. It has so much diversity. One day you can be diving the great barrier reef and the next day you can be in a bustling metropolis, the wilderness or a rainforest. The opportunities are endless and there is something for everyone. I will most certainly be back for more adventures! Want to plan a trip to Australia? Click here!